The stunning Park Theater redefines entertainment in the heart of the Las Vegas Strip. At its highest capacity, it can host 3,000 guests or provide 40,000 square feet of flat floor space. The Theater, designed by Scéno Plus based in Montreal, is as an intimate space with unique and adaptable features that make it a venue chameleon. The flexible venue can transform to host award shows, events and can function as a convention space. Telescopic seating can be expanded and contracted to disappear by lowering into the floor. The Lobby of this unique space is adorned with a modern, innovative and vibrant chandelier. 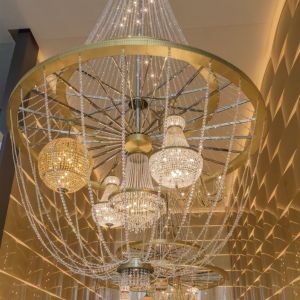 Preciosa in collaboration with MGM Resorts International, based in Las Vegas, developed and produced three gigantic chandeliers, which hang above the escalator in the Lobby. 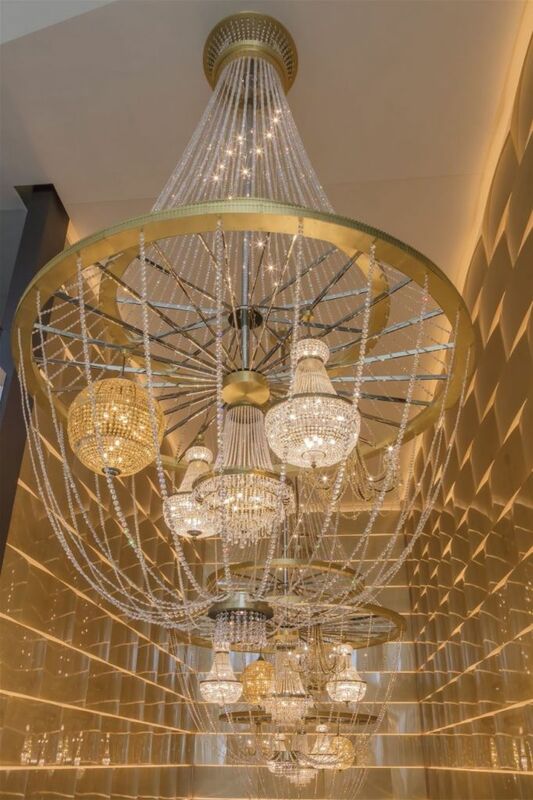 Sparkling clear octagonal chains enhance the enormity of chandeliers. Each piece weighs 1,5 tons, is 9.6m in height and 4.8m in diameter. The individual chandeliers hold five smaller chandeliers inside. 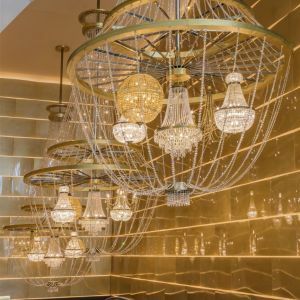 The embodiment of five individual chandeliers into one huge chandelier, as well as the dimensions and safety, created a huge technological challenge which Preciosa technicians overcame superbly. „All MGM International Resort projects are a great opportunity for Preciosa to show off because they always include challenges, solutions, and unique approaches in order to deliver a fantastic result” says vice-president of Preciosa Lighting, Vojta Malina.